Premiere is a modern 6-storey mixed-use building anchored by retail tenants and commercial office space on the first 2 levels, while the top 4 floors of the building will include market purpose rental apartments ranging in size from 400 sq ft to over 1000 sq ft. Thoughtfully designed to maximize use of space, layouts will include a variety of 1, 2, & 3 bedroom options. 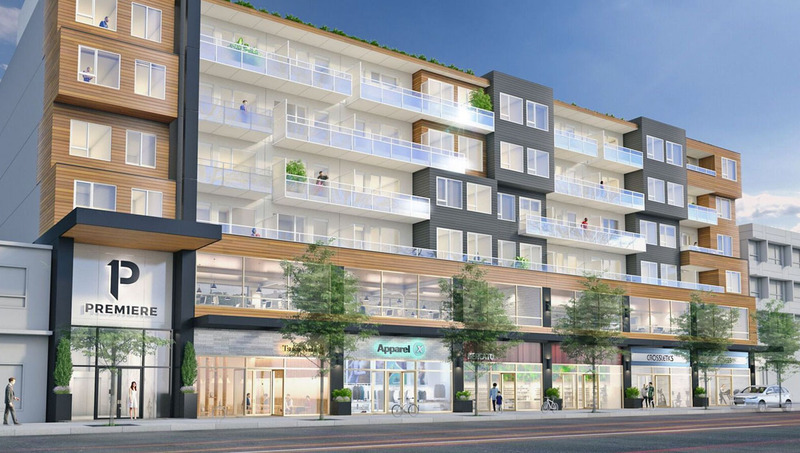 A rooftop terrace will offer tenants a large outdoor area to both entertain and relax at their leisure and will be open year-round. For well over a century Columbia Street in New Westminster’s downtown core has been considered the city’s main strip. Lined with colorful merchants and located steps from the Royal Columbian Hospital, city planners have spent years carefully crafting a master plan for this strip to be transformed into their first ‘Great Street’, including the development and construction of Premiere. 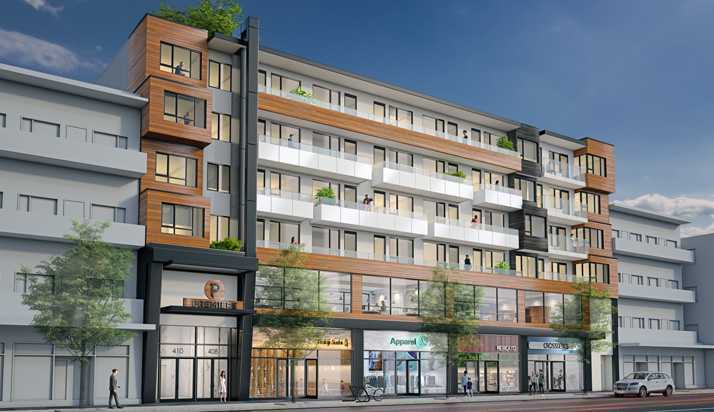 Serving the hospital and surrounding businesses, Premiere brings a much-needed presence of new residential rental and strata office space to the community. Construction is set to begin in Fall 2019.